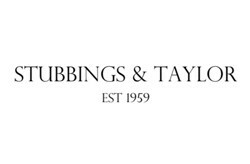 Since 1959 Stubbings & Taylor have been providing bespoke tailoring services to discerning ladies and gentlemen across the world. Originally based in Little Britain, we now operate from a state of the art Studio on Queen Victoria Street, London. However, we still use the same tailoring techniques today as we did nearly 60 years ago. As the company and its style has evolved through the generations, our process has remained the same. We cut all of our suits in our studio and create an individual paper pattern for each customer. Our baste fittings are made by hand and then hand finished all here in London. Our tailors and image consultants are passionate about bespoke tailoring and our garments range from suits, sports jackets, overcoats, trousers, gillets and so much more. We are on hand to help discuss your needs and are happy to arrange home or office visits for your convenience or alternatively appointments can be made at our London studio by clicking on the link below.